Rice bran oil dewaxing process characteristics 1, rice bran crystallization process in the winter of raising grain crystallization tank for special equipment, long thin design facilitates uniform cooling oil, no electricity inside the power plant equipment, oil flip through compressor air to complete. Compared with a conventional crystallizer, the raising of the grain tank, the equipment investment costs less convenient process operation. Rice bran oil dewaxing process characteristics 2, thermal removable winter of filter improves the quality of rice bran oil dewaxing filter, reduce labor intensity. 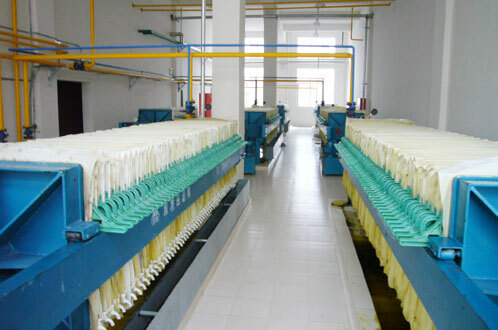 The device has a unique operating principle and special filtration devices, without removing the frame during use and become fat winterization, dewaxing process ideal separation equipment. Rice bran oil dewaxing process characteristics 3, in order to better removal of oil wax, wax filters prevent a small amount of melted due to high temperature, while avoiding interference moisture in the air, using a unique process of “double cold room “production environment. Grains generated easily filtered, mixed with moisture in the air is no longer, dewaxed oil is clear and transparent.